1. The district is very Republican. Mitt Romney won here by 18 points last November. That means for a Republican candidate to lose, that guy has to be really awful. Sanford still vastly underperformed, but in the end the Republicanism of the district should have made Democrats pessimistic. 2. Colbert-Busch wasn’t a strong candidate. Even a tremendously flawed candidate will still prevail if his opponent isn’t strong enough. Colbert-Busch’s claim to fame was being Stephen Colbert’s sister. Not only was Colbert-Busch a weak campaigner, but she also had flaws of her own, like being arrested and going through a nasty divorce. For Democrats to win here they needed an exceptional candidate. Colbert-Busch wasn’t it. 3. Barack Obama and Nancy Pelosi. Colbert-Busch failed to stake out positions that set her apart from national Democrats. Instead, she often seemed to dodge the issues and give vague responses to questions on her platform. This naturally made voters suspicious and made it all too easy for Sanford to paint her as a puppet of Nancy Pelosi. 4. The news of the trespassing charges came too early. Had the news of the trespassing charges came two weeks later, the race would have been a lot closer. Instead, too much time elapsed, and this allowed Sanford to put the focus on his opponent and nationalize the race. Jenny Sanford is probably having a bad night. 5. Mark Sanford was a good campaigner. Sure, Sanford was a horrible candidate. But considering all his faults, he did pretty well. Sanford is actually a natural campaigner in the mold of Bill Clinton. He’s very good at connecting with voters and this made it easier for them to forgive his transgressions. 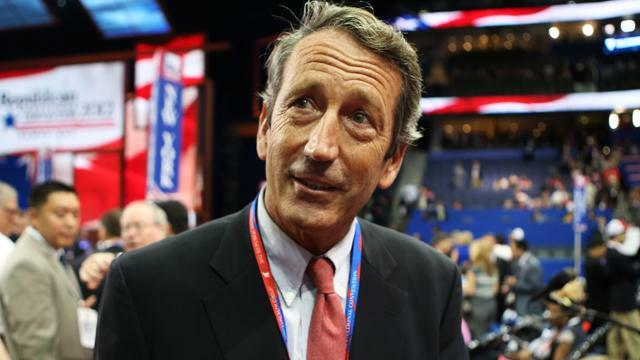 Amazing though it may seem, but for his quirks we could be talking about President Mark Sanford. In the end, Republicans might have been better off had Sanford lost. Now that he’s going to be in Congress again, expect Sanford’s name to come up whenever Democrats ridicule Republicans for being the party of “family values”. Colbert-Busch would have been a one-and-done representative and quickly replaced by a less controversial Republican. Instead, it’s possible that Sanford could hold the seat for the rest of his life.